Heather had to face this fear head on. She is a living example of what a mother will go through and over come to be there for her child, and I am so honored that she is letting me share her story with you. Hearing the words "you have cancer" causes a deep fear to wreak havoc in your heart. It rushes through entire being, shaking you to the core. No matter how happy you are in life today, hearing about your cancer can ruin your hopes for tomorrow. When I heard these words, it was at a time when everything in my life should have been perfect. For me, the news couldn't have come at a worse point than it did. My new infant was only 3 1/2 months old at the time and now I was learning the most devastating thing I had ever heard in my life. They told me that my cancer was a specific variety called Malignant Pleural Mesothelioma. I learned that this type of cancer is caused mainly by asbestos exposure. I know what you're thinking. Asbestos is banned isn't it? Sure it is, but it wasn't always banned, and to answer your next question, you don't have to be in direct contact to be exposed to this harmful carcinogen. My father worked around asbestos, and that was enough to expose me sufficiently. He did various construction jobs involving drywall, like taping, mudding and sanding. In the process he was exposed to asbestos-containing dust, which also made its way onto his clothes. From there it traveled to his jacket, his car and into our home, untold millions of microscopic asbestos fibers making their way right into the air we eventually breathed. I was only 36 years old when I got my diagnosis. At that time, even the famed Mayo clinic had only heard of a single other case in such a young person. Most patients are older males who worked in various trades, like plumbers, electricians, heating specialists, auto mechanics and military service members who were exposed to asbestos on ships. Of course, their wives also got exposed, hundreds of women all getting sick from doing routine tasks like shaking dust out of clothes before they ran them through the laundry. Others worked as secretaries in public buildings like schools, where asbestos building materials were commonly installed. As a result of the numerous places asbestos were once used, we're just now starting to see an entire new generation of mesothelioma sufferers. I soon found out that I was just the beginning of a horrifically alarming new medical trend. Now, younger and younger are the people being diagnosed with mesothelioma. Some did nothing other than attend schools where there were crumbling asbestos ceiling tiles present. Others simply played in the attics of millions of American homes where asbestos contamination was present in vermiculite insulation. Many, like me, were guilty of no other crime than jumping into their daddies' arms after they came home from work, or in my case, wearing his dusty jacket outside. As I began to get involved with the mesothelioma community, I realized that there were young patients everywhere. I got to know their stories, learning that many other job circumstances caused exposure as well. These men and women are in their late 20s and early 30s, far too young to have cancer. They're just beginning their lives, really, getting married, having babies and striking out on their own for the first time. Now they have to combat a seriously fatal cancer. Of course, there's a good side to all this. I, for one am still here, and so are a lot of the other suffering people I have met. Mesothelioma treatments are getting better for patients of all ages and from all walks of life. You may wonder why I've shared this with you, but the answer is simple. I hope to bring awareness to people, to let them know that there are survivors out there, ready and willing to support each other and share the emotional ups and downs. If my small contribution can help even one person who's just found out they have mesothelioma then all the effort and suffering I went through was worth it. 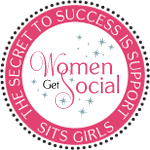 Hi,thanks so much for linking up the Mommy Brain mixer! And, thanks for sharing such a wonderful story! Wow! Heather is my new hero. I can't even imagine. I can't even imagine! I have never heard of this form of Cancer! It is an amazing story though!